DANS CRYPT RECORDS sing another great band. 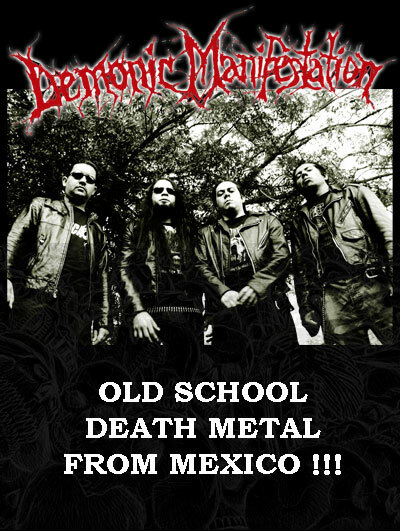 DEMONIC MANIFESTATION from Mexico its a Old school Death Metal band with strong influences from the 90´s Swedish Scene. The CD artwork would be done by the great artist Juanjo Castellano, so prepare your soul to get this great band !!! JUDECCA´S OFFICIAL RE-ISSUE OUT NOW !!! 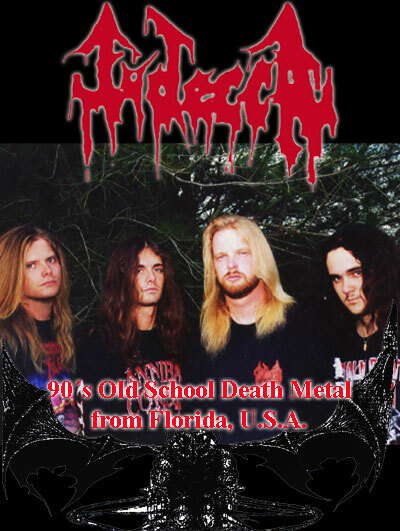 DAN´S CRYPT RECORDS announce the Re-release from the classic Old School Death Metal band JUDECCA from florida, (U.S.A.). This edition would include the bands all discography, what we offer in the Re-issue is the ¨Scenes of an Obscure Death¨ E.P. (1993) / ¨Awakened by the Stenchof the Dead¨ E.P. (1993), ¨Beyond, What the Eyes Can´t See¨ full lenght album & the ¨Eternal Rest¨ Demo Tape (1992). Also all lyrics from all recordings, a 12 pages booklet with old pictures from the band old line up and a new artwork made by Mike Majewski from Devourment.